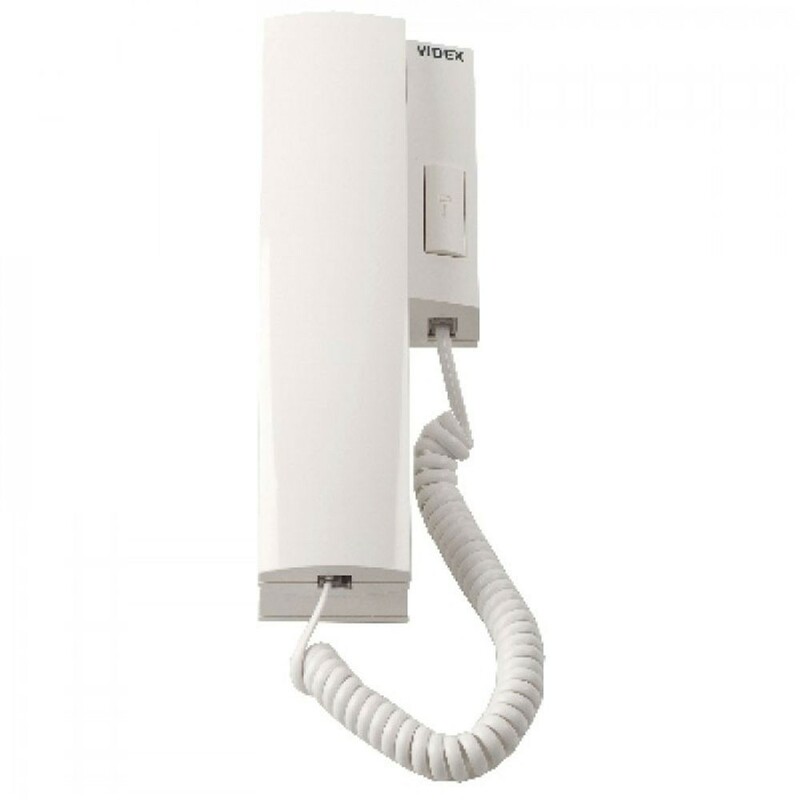 The Videx 3021 handset with 12V A/C buzzer for use with VRDK kits and older Videx door entry systems. It has a plug in replaceable handset cord and lock release button. This model is compatible with older Videx systems using 3+n and 4+n (traditional) wiring. Please note, this handset WILL NOT WORK with newer Videx systems that use an electronic call tone (please see Videx handset 3011 with small black volume switch on the left hand side of the cradle).